Dubai, United Arab Emirates, 29th January 2019: ENBD REIT (CEIC) PLC (“ENBD REIT”), the Shari'a compliant real estate investment trust managed by Emirates NBD Asset Management Limited, has announced its Net Asset Value for the third quarter ended 31st December 2018. ENBD REIT's NAV stood at USD 284 million (USD 1.11 per share), declining by just USD 1 million on the previous quarter despite challenging market conditions. ENBD REIT’s property portfolio value stands at USD 456 million, compared with USD 459 million for the previous quarter, as a result of minor valuation losses owing to a soft local real estate market. The portfolio comprises diverse holdings totalling 11 properties across office, residential and alternative asset classes. Gross yield on the portfolio held steady at 8.3%, following a successful leasing programme across office and residential assets. Occupancy across the portfolio currently stands at 88%, with a robust Weighted Average Unexpired Lease Term (WUALT) of 3.61 years. 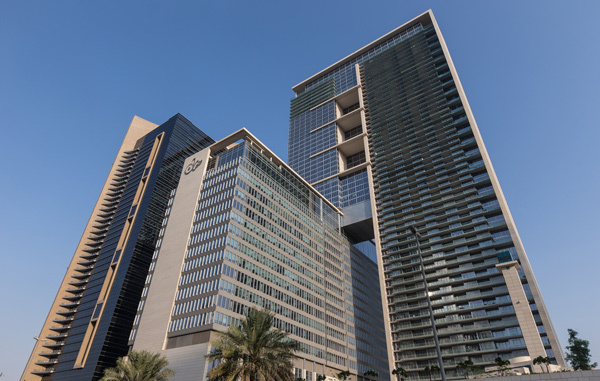 ENBD REIT intends to maintain the growth and diversification of its portfolio, by acquiring income generating assets in Dubai, Abu Dhabi and the Northern Emirates – subject to tenant demand. As at 31st December 2018, the REIT’s Gross Asset Value (GAV) stood at USD 461 million (USD 462 million for the previous period) with its Loan-to-Value (LTV) ratio remaining at 38%, and gross rental yield on NAV of 13.2%.